Attorney Levy earned his B.A. from the State University of New York at Buffalo, and his J.D. from Antioch School of Law. He was admitted to the Connecticut Bar in 1984 and the U.S. District Court, District of Connecticut in 1985. Attorney Levy is a member of the Litchfield County Bar Association, Connecticut Bar Association, the American Bar Association (Family Law Section) and the American Association for Justice. An author of articles on various aspects of family law, Attorney Levy's work has been published in the Connecticut Family Law Journal and the American Bar Association's Family Advocate. 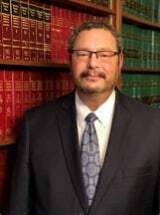 Attorney Levy has participated as a Special Master in the Litchfield, Waterbury and Hartford Judicial Districts as well as the Regional Family Trial Docket in Middletown, Connecticut. Attorney Levy has been responsible for the operation of the Special Masters Pretrial Program in the Litchfield Judicial District since 2005. Attorney Levy has been in private practice since 1984, and his areas of practice include Family Law, Civil Litigation, Residential Real Estate Transactions, Personal Injury and Probate Matters.